This is the third in a [hopeful] five-part series written by each Snoqualmie Mayoral candidate, explaining their goals and vision if elected. This piece is from Matt Larson. Five candidates have filed for the November general election, which means an August 1st primary will narrow the candidate field to the top two vote-getters. Primary ballots will be mailed beginning July 12th. They must be dropped off at ballot drop boxes (no postage necessary) or mailed by August 1st. Snoqualmie now consistently ranks as one of the safest and best places to live and raise a family in America. 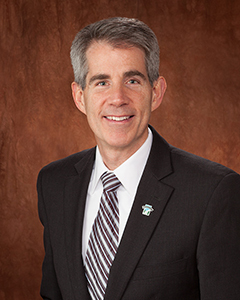 As your mayor, I have effectively worked with residents, business owners, council members, city staff, community organizations, and regional leaders to “make Snoqualmie an extraordinary place to live and a premier visitor destination.” This has been our guiding vision for the past 12 years. And with your support, I hope to continue our very successful efforts. We have made Snoqualmie an extraordinary place to live by: protecting our spectacular natural environment; preserving, creating and maintaining numerous parks, trails and open spaces; providing high-value, balanced, equitable and sustainable city services; investing in downtown flood mitigation; and by building a pedestrian friendly, mixed-use, and connected community that strives to embrace residents of diverse ages, backgrounds and income. We have increasingly made Snoqualmie a premier visitor destination by: supporting and hosting events such as the Boeing Classic PGA Tour; by working with the Northwest Railway Museum on bold upgrades and improvements; by providing more lodging choices for overnight guests; by replacing heavy-industry zoning at the old Mill Site with proposed winery/tourism related uses; and by heavily investing in the redevelopment and revitalization of the historic downtown. With the exception of affordable work-force housing needed to support local employees and businesses, I am very wary of more residential development beyond the pending full build-out of Snoqualmie Ridge. I have consistently worked with the city council to assure that Snoqualmie does not become dependent upon future growth so that we remain in control of our destiny and protect this special place where we live. I am in support of limited and focused economic development that serves and fiscally sustains the population growth that we have currently allowed. Economic development must align with our vision to make Snoqualmie an extraordinary place to live and a premier visitor destination. The above mentioned efforts, along with new grocery and retail offerings, enhance Snoqualmie as a destination, achieve fiscal sustainability and reduce pressure on property taxes. No vision or priority is possible without having a financially sound city government. Working collaboratively with the city council, I will continue to use the long-range fiscal modeling and monetary practices that successfully carried the city through a historic recession and prepared us for the pending full build-out of Snoqualmie Ridge. Our wildly successful Community Center is busting at the seams. However, in light of last year’s historic school bond tax increase, I will explore all opportunities to fund an expansion that minimizes requests for additional taxes. My years of service, as a full-time mayor, have helped me develop strong personal relationships with regional and state leaders. As a result, the city has successfully secured nearly $180 million dollars in federal, state and county funding during the past 12 years to help achieve our goals and to pay for coming improvements to the SR18/I90 Interchange, beginning in 2019. I have served as, mayor, city council member, planning commissioner and parks board member. My peers frequently selected me for leadership positions such as, president of the Sound Cities Association; council’s mayor pro-tem; and president of the Snoqualmie Valley Governments Association. I grew up in a military family that frequently relocated. Consequently, I was able to choose the best home town to raise my four children with my wife of 33 years. A mayor and council can only succeed together. Snoqualmie has had great council leadership during the past 12 years due to an ongoing balance between experienced members with valuable knowledge and new members with fresh perspectives. Consequently, I urge voters to re-elect Councilmembers Bob Jeans, Kathi Prewitt and Bryan Holloway and to retain new members Katherine Ross and Sean Sundwall. I would be honored to continue serving as your mayor. Please help me Keep Snoqualmie Thriving by supporting proven, experienced leadership. Please see www.reelectMattLarson.com for more information, including a list of endorsements ranging from local to state elected officials. I support Mayor Larson for re-election. He has governed with acquired knowledge over the years in the areas of Municipal Finance, Development Planning and adhering to the City’s Urban Growth Area, keeping the City “green” whenever possible and a good general balance of the many aspects that make up a City. Larson kept his word of revitalizing the City’s historical and business core which is beautiful and sucessful. Mayor Larson is an ethical and good family man which carries over into his political career. We need Larson’s historical institutional knowledge. As a former Finance Director of 15 years for the City of North Bend, I appreciate a well run City. Re-elect Mayor Larson! He deserves it!